We provide pattern services for all types of leathers. Pricing is according to design. We charge according to time it takes, details of sketches, and difficulty. 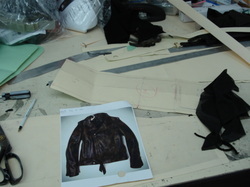 We also provide an alteration and repair service for both samples and production. Please contact us for details on these services.